Sonia KacemDid snow fall on the pyramids? The artistic process of Sonia Kacem can be described as an ongoing discussion between form and content. It has been characterized by a careful exploration of materials and a study of their physical properties in order to investigate their reactions and determine their final shape. She sources her materials from different stages of the consumption’s cycle: online ordering, second hand shops, crafted objects from workshops, factories’ leftovers or individual refuses. 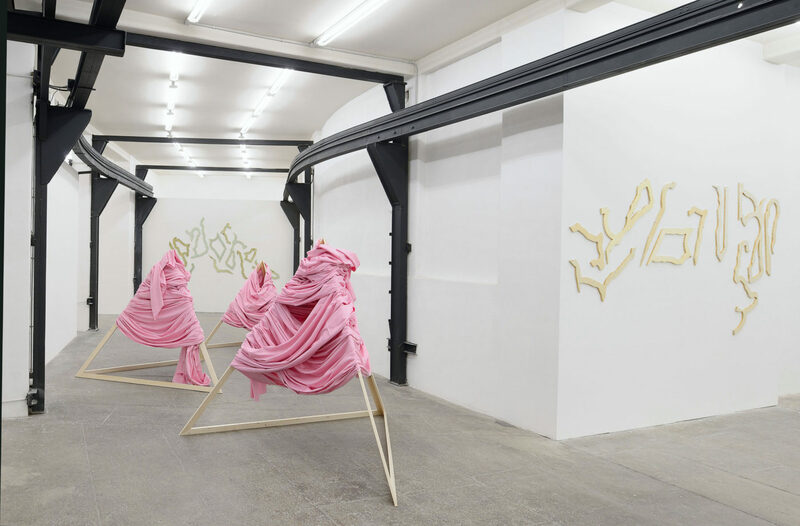 At the same time, a personal mythology guides the artist in the choice and manipulation of such materials that are subjected to a series of random gestures with the aim of developing scenographic assemblages in which the visitor is invited to wander. 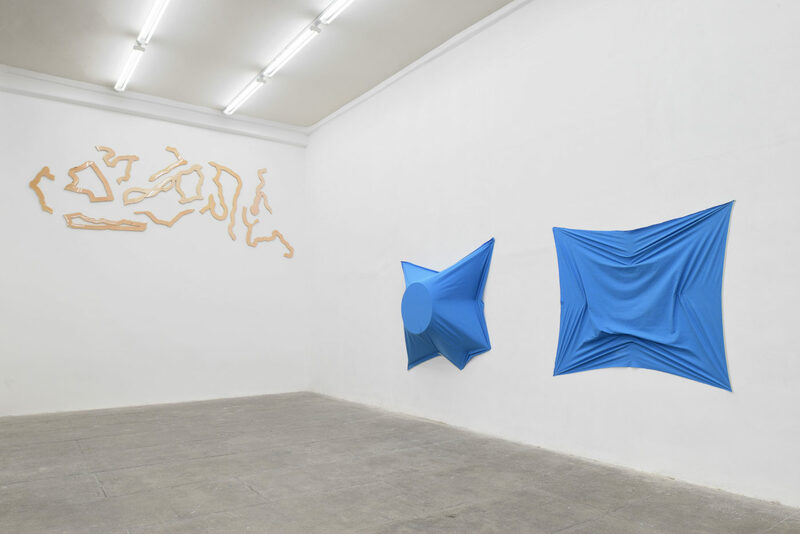 Sonia Kacem’s installations are the result of a search for interaction between objects and observer: an intuitive interaction with the forms and the materiality of compositions that, even though aesthetically abstract, follow the traces of fiction or drama. In fact, the artist brings topics and stories that are relevant in her present research and that influence her work directly without being explicit. 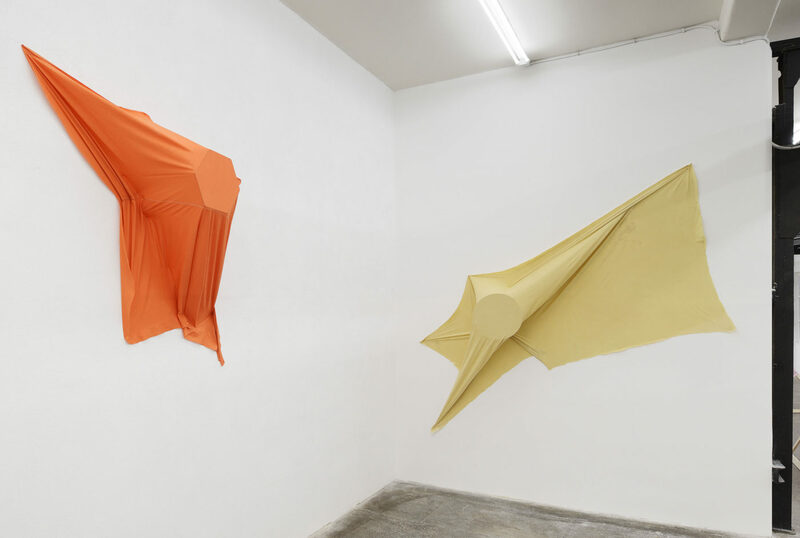 The three pyramids in the center of the space suggest three characters caught during a conversation: the forms are deliberately obscure and allusive to maintain that continuous tension between presence and absence in which Sonia Kacem finds the sculptural potential she wants to incorporate into her own production. Through the prism of sculpture the artist has gradually introduced new elements that led her to investigate the body and, more generally, human experience. 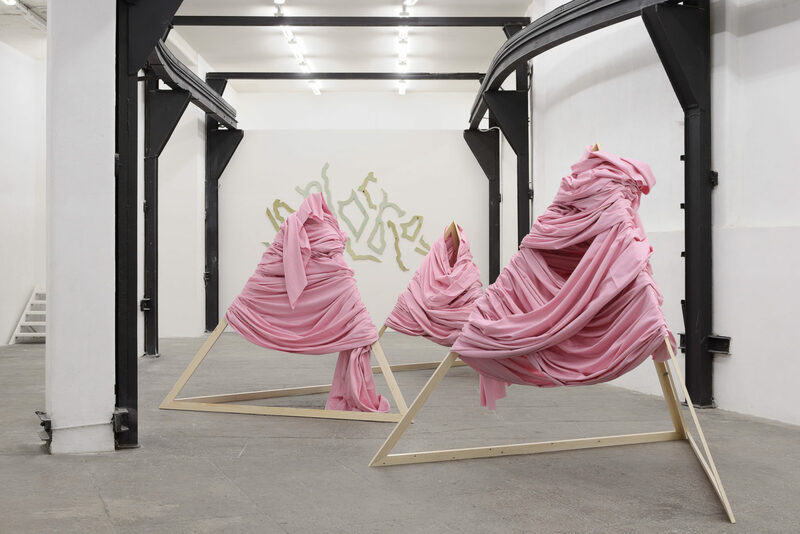 This is understandable through the titles of her latest installations – Thérèse, Petra, Loulou, Carcasse : namely all surnames. This personification of the objects introduced new insights into social analysis in her work such as the constraints related to the public and private spheres. The title “Did snow fall on the pyramids?” refers to the news of an exceptional – albeit unlikely – snowfall in Egypt in 2013 that spread around the globe through countless shares on social networks of some surreal images of snow-covered pyramids. Although the snow actually fell on those days, the photo turned out to be a digital manipulation of an existing picture to create the impression of a snowy landscape. 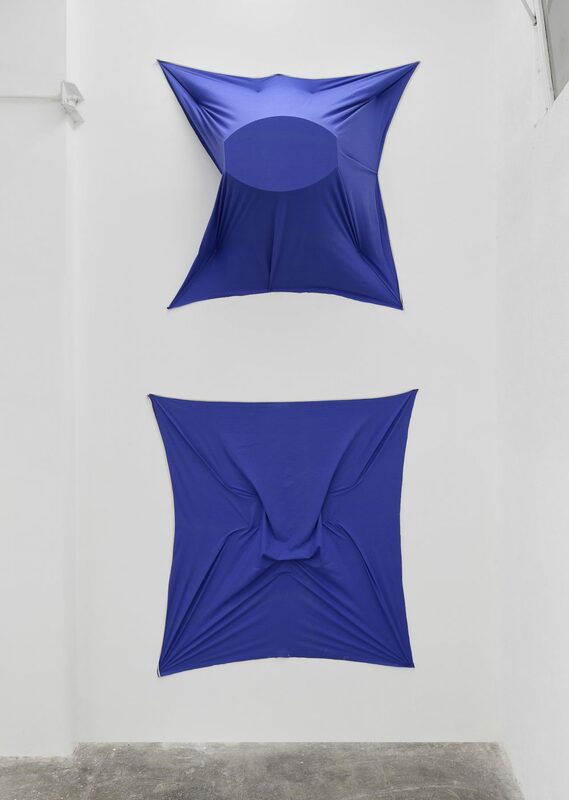 Intrigued by this new dynamic of transmission, Sonia Kacem transfers this contraction and the following tension in its allusive structures: in front of them we are confronted with something we seem to recognize but whose authenticity we still doubt. 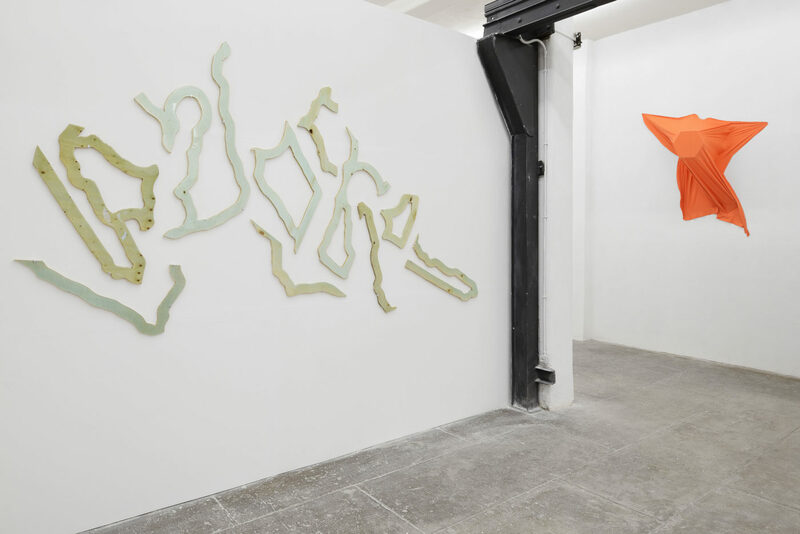 This tension is evident in the ‘intermediate’ forms the artist has occupied the gallery with, such as the wooden sign pieces on the wall, a new body of work in Kacem’s practice. Put next to each other, these signs carry a potential of meaning that the visitor is invited to grasp and develop. Exhorting the viewer to decipher the artworks, the exhibition plays on continuous dichotomies: cryptical structures with familiar features, graphic signs that are apparently clear but still indecipherable, concrete forms that cross the threshold of imaginary. Text by Giulia Bierens de Haan. The artist would like to thank T293, Istituto Svizzero di Roma (ISR), and Alessia Volpe.